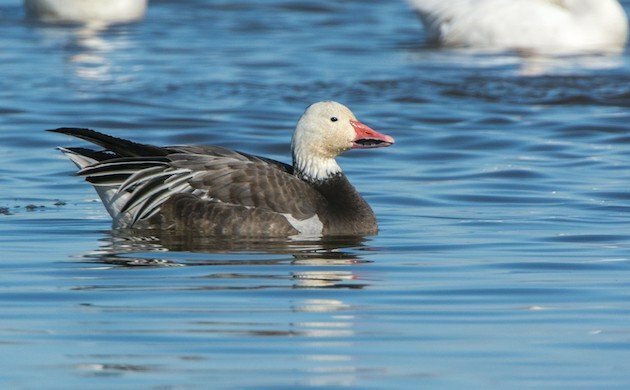 The “Blue Goose” is the dark morph of the Snow Goose (Chen caerulescens). Click on photos for full sized images. Color morphs are controlled by a single gene locus where the dark allele is incompletely dominant to the light. 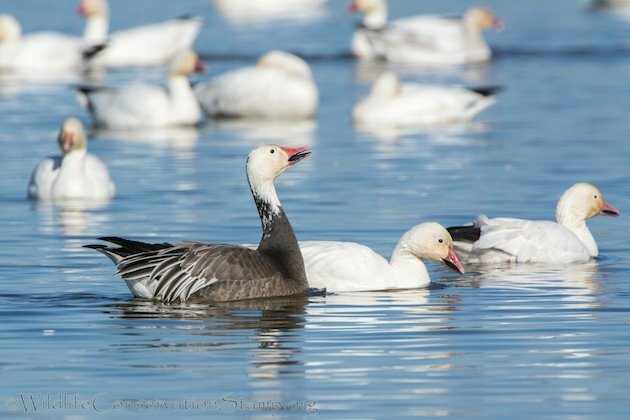 The distribution of color morphs is unequal in the Snow Goose population, with the maximum number of blue-morph geese occurring in mid-continent breeding and wintering areas1. 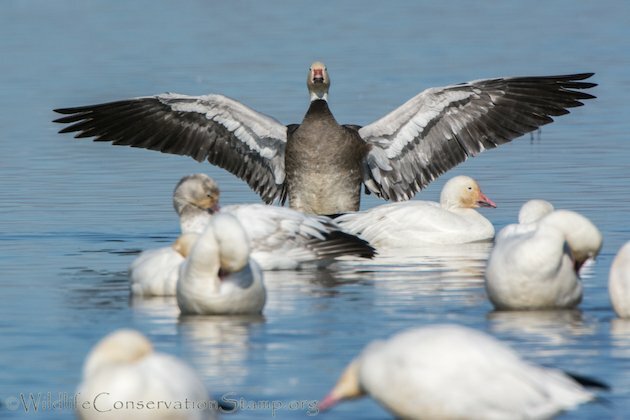 The nesting colonies of blue-morph geese were not discovered until 1929 after a direct and intentional search by Dewey Soper (a widely-traveled Canadian Arctic ornithologist) that lasted 6 years and, until 1983, the two color morphs were considered separate species. 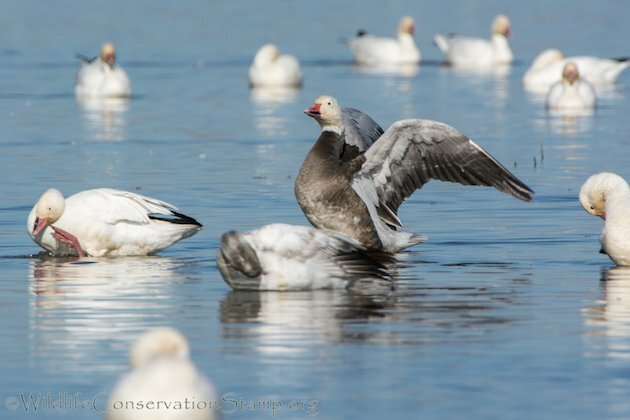 I photographed these blue morph Snow Geese at Sacramento National Wildlife Refuge where I saw quite a few, including this juvenile (below). These are some of the images I took as the geese were bathing and preening. 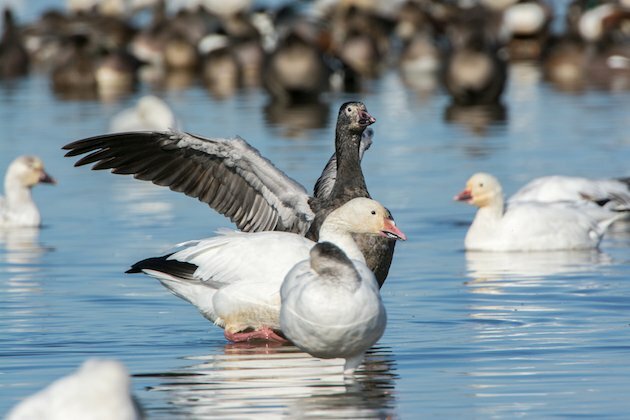 I leave you with a video I shot of the dark morph Snow Goose bathing and preening with the juvenile preening at the end. 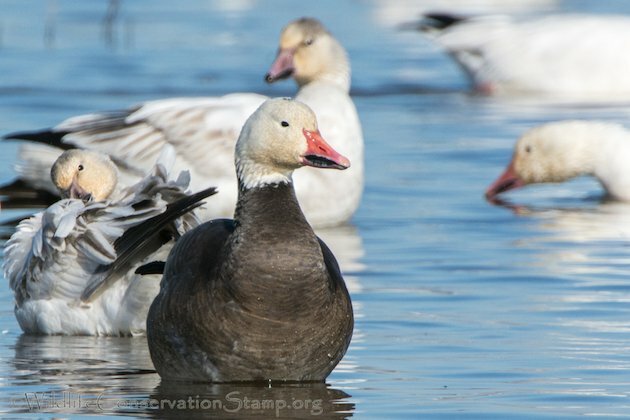 At about the 2:03 mark you will notice a Ross’s Goose moving behind the dark morph goose from right to left and another following behind. Enjoy! Thanks Larry for the info and photos. 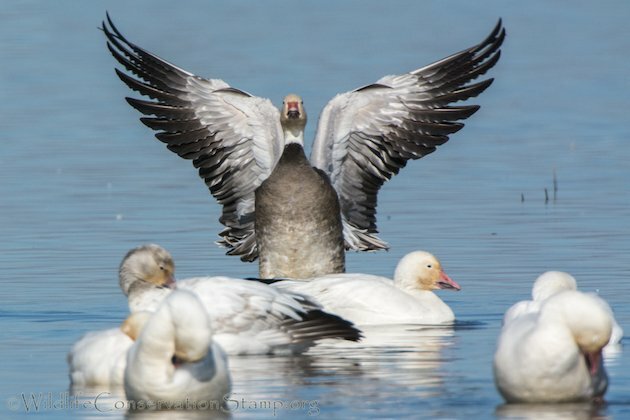 I was reading about a Blue Goose just yesterday and wish I had more information on it.